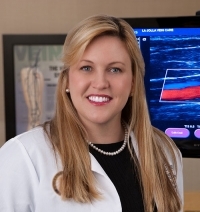 » Watch Next Video by Nisha Bunke-Paquette, MD - What are the symptoms of varicose veins? What are minimally invasive vein treatment procedures? Fortunately, vein treatments have come a long way since old-fashioned vein stripping surgeries. Today, vein treatments can be performed in the office, in the out-patient setting without general anesthesia. There's minimal pain, downtime and patients can return to normal activities almost immediately. The treatments that we offer are foam sclerotherapy, radiofrequency ablation, and microphlebectomy.